An Air New Zealand flight inbound to Shanghai was forced to turn around halfway over Indonesia after their pilot discovered their aircraft was not permitted to land in China. Whilst aircraft are turned around all the time due to technical issues, or rerouted due to problems at the destination airport (such as a storm), it is the first time an international flight has been denied access due to not having the right paperwork. Flight NZ289 was approx half way to China from Auckland when the pilot announced that the plane there were on was not certified to land or operate in Chinese airspace. 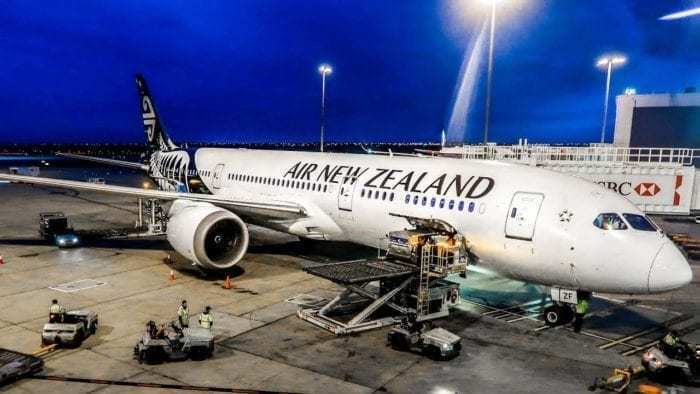 The flight was an overnight leaving New Zealand just before midnight on Saturday night, and thus would have been a disappointing morning for those onboard. “A technicality meant the particular aircraft operating this service did not have Chinese regulatory authority to land in China,” – Statment from the airline. To make up for it, the airline has booked all passengers on another flight leaving Sunday night local time (after a night in a hotel), this time with double (and triple) checked paperwork. It is especially embarrasing as it happened to New Zealand, a flag carrying airline that is supposed to ensure a seamless and logstic nightmare free experience for their passengers. Upon investigation, it appears that the plane was a new Boeing 787-9 Dreamliner, and potentially, the airline had not yet registered the aircraft in China. The process generally takes up to several weeks and requires the airline to fill out plenty of paperwork for every aircraft entering Chinese airspace. Who in his or her right mind would fly to China in the first place? Anyone going to China is always putting their life in n their hands.